Welcome to the fifth annual 30-day November to Remember Challenge. 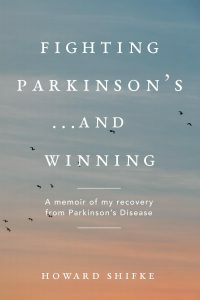 This year, the 30-day challenge is coming to you in two parts: 1. to those of you already doing the Parkinson’s Recipe for Recovery®; and 2. to those of you new to the blog and to those who have been inspired about recovery, but who are still thinking about whether or not to do the Recipe. The last four years have turned out really well for those who decided to accept the challenge and either re-commit to doing the Recipe or begin an abbreviated version of the Recipe. So, here are some thoughts, followed by this year’s challenge. As we head into the last two months of the year, this is a time filled with the additional stress of the holidays, balancing family, work, friends and extended-family during the holidays. Stress exacerbates Parkinson’s. Fear and worry exacerbate Parkinson’s. Wouldn’t you rather head into the holiday season with less stress, less fear, less worry, and physically feeling a little better? Wouldn’t that make you and your family and friends actually see that you are on your path to recovery? Okay, then…let’s do this!!! Here we come November 1st! For those of you already doing the Recipe, this is a time to re-commit yourself to doing the Recipe, the physical exercises, the mind calming, and the soul healing. Also, I welcome your comments at the end this post as a way to encourage and inspire those who are new to the blog or undecided in accepting the 30-day challenge 2015. For those who are new to the blog or who are inspired but have not yet started doing the Recipe, it is my challenge to you to make a personal commitment to yourself to do the scaled-down version of the Recipe® for the month of November to get on your path toward recovery. I am posting the challenge now so you can have a few days to get ready. It costs nothing. There is no sign up sheet. There is no catch. There is nothing to lose. There is much to gain. My 30-day challenge to all of you: Embrace the Parkinson’s Recipe for Recovery® for 30 days and make this your November to Remember! For those of you already doing the Recipe, at a minimum, recommit yourself to doing the physical part of the Recipe you already are doing. If you are not doing the entirety of the physical exercises every day, then challenge yourself to do more than what you currently are doing and do it more often than you currently are doing. Practice deep breathing; click here for instructions. Practice drinking enough water; click here for instructions. For those who are new to the blog or who are inspired but have not yet started doing the Recipe, at a minimum, perform Medical Qigong for Liver, Clearing Liver Wind Qigong, Standing and Balance Qigong, Brain Vibration Chanting (these are numbers in Mandarin Chinese in a sequences to stimulate vibration activity in the brain). There are videos of each of these in the Parkinson’s Recipe for Recovery®. Also, add the Neck Exercises and the Medical Qigong Sound for Kidney Health (there are not videos of these). Also, two things to do for your body that seem natural, but many struggle with: Practice deep breathing; click here for instructions. Practice drinking enough water; click here for instructions. For those of you already doing the Recipe, and for those who are new to the blog or who are inspired but have not yet started doing the Recipe, a). at a minimum, stop doing research on Parkinson’s remedies and “cures.” This will start to reduce being in Adrenaline mode; click here for more information about Adrenaline mode. Also, this will send a message to your Parkinson’s that says, “I am committed to the Parkinson’s Recipe for Recovery®, I believe in the Recipe and I believe in myself.” Commit to the Recipe for 30 days, and during the 30 days, stop looking for something different. If you are looking for something different, then you are not committed to what you are doing. Use your extra time reading a book, watching TV or a movie, talking to friends…getting back into living life; I am certain if a new miracle cure turns up during the 30 days, somebody you know will tell you about it. b). Getting rid of fear. Click here for a refresher on faith over fear. c). Stop thinking about your Parkinson’s. Instead, think about living your life, truly living your life and doing the things that you can do and want to do. You may do things a little slower, and you may not be able to do things as long, but you still can do the things in life you want to do. Click here for a refresher on having a “can do” attitude toward your cure instead of a “can’t do” attitude toward your life and your Parkinson’s. d). Calming your mind. At a minimum, for 5 minutes (10 minutes minimum for those already doing the Recipe), one time per day, sit in a quiet spot, close your eyes, and count your breaths from 1 to 10 (out breath first, then in breath, count that as 1 breath) and start over counting 1-10 and start over again, etc. For those of you already doing the Recipe, and for those who are new to the blog or who are inspired but have not yet started doing the Recipe, a). Practice acceptance. When something occurs, instead of visiting it with a negative emotion, just look at it and say, “Okay, I accept what just happened.” And then deal with it without the negative emotions. Stress is caused by the mind’s refusal to accept reality. Accept what is occurring, create a solution, and reduce your stress. Click here for more on stress reduction through acceptance. b). Compassion. Practice compassion every chance you get…compassion for others and for yourself. Practically everybody, including you, is suffering at some level, physically, mentally, and/or spiritually. Practice compassion and unburden some of their load, and unburden some of yours. c). Gratitude. Click here for a refresher on practicing gratitude. Make a Gratitude notebook. Every day write down 10 things for which you are grateful. If 10 things do not come to mind, think of something bad that did not occur, and be grateful that it did not occur. If you run out of new things, you may repeat things you have written on previous days. At the end of the month, you will have between 10 and 300 things for which you are grateful. The closer you are to 300, the more your heart will have opened, and the more your natural dopamine will be flowing. Additionally, for those of you already doing the Recipe, think back to a happy or joyful event in life, get a clear picture of it, and then give gratitude for having had that joyful event take place in your life; something in your brain captures the event, finds it inside you, and releases dopamine as if you were experiencing the joyful event in the present moment. Click here for more information on performing past life experience gratitude. Not only is this the November to Remember 2015, but it also is No Excuses November 2015! wind; wind makes things shake). 2. Objection to doing the Recipe, “I cannot do the Qigong exercises because, a. I do not understand them, b. I am physically unable, c. Both a. and b.” My response, “I will help you.” (See my “My Commitment to All of You” below in this post). 3. Objection to doing the Recipe, “I cannot do the Qigong perfectly, so I know it is not worth my time because if I cannot do it perfectly, I know I cannot recover.” My response: “The only “perfect” Qigong is the one your body is allowing you to do in the moment you are doing it, and it is good enough.” Click here for more information on why your best is good enough. 5. Objection to doing the Recipe, “I am currently taking medications and I do not want to reduce them.” My response, “Don’t.” I feel that you will benefit greatly from doing the Parkinson’s Recipe for Recovery® even if you are currently taking medications. I do not believe that you can reach full recovery while on medications, but doing the Recipe and cleansing your liver will help your body process your medications better and help you function better, and maybe some time in the future you will decide that reduction makes sense to achieve your recovery. Click here for more on medications and medications reduction. If you feel that you do not understand how to do any of the things outlined in my 30-day challenge above, let me know, and I will provide you with a 30-minute conference in person, by phone, by Skype, or by FaceTime at no charge. Send me an email at howard@fightingparkinsonsdrugfree.com and I will coordinate the conference with you. If you are in the Tampa area, I will meet with you or have a call or a Skype or a FaceTime. If you are outside the Tampa area, but in the United States or Canada, we may have a call or Skype or a FaceTime. If you are outside the United States, we may have a Skype or a FaceTime. I am committed to all of you. I am committed to assisting you to accept my 30-day challenge, and I am confident in you being able to do the Recipe. Also, I am confident that the Recipe will work for you, and at the end of the 30 days you will see enough positive results in your recovery that you will know you are on your path to recovery and you will know the full Recipe is right for you. Also, throughout the month of November, I will be posting information to assist you in successfully completing this 30-day challenge. Please check back regularly to this blog, or if you wish to receive an email notification of the blog posting updates, please fill out the “Subscribe to receive blog update notifications” form at the top right-hand side of this page. I am committed to you and your recovery from Parkinson’s. Why not accept the abbreviated Recipe challenge, get on your path toward recovery, and commit yourself for 30 days to the Parkinson’s Recipe for Recovery®! Parkinson’s is curable! Be your own cure! Why not make this your November to Remember! Hi Howard, fellow warriors and to all new people, Hi! Go on, have a go, nothing to lose and everything to gain. Not only will you be taking the first step on your new journey to recovery, but you are connecting each week to a community of great people who are walking the walk with you, with understanding, encouragement and compassion. Howard is truly amazing and it is uncanny how he always seems to know where we are all at. Congratulate yourself on finding the answer to your prayer when you found this site and your Recipe to Recovery. I am happily up to the challenge. Thanks Howard. I believe that Parkinson’s is curable and I am my own Parkinson cure. I am grateful that I have found this web site. I am grateful for the knowledge, support and blessing it has been, and continues to be in my life. There are a couple of things that standout in my mind as I accept this challenge. First: This “Recipe for Recovery” works. I have had the privilege of meeting Howard in person. He is the real deal. He had Parkinson’s and now he has recovered. He has remained symptom free since 2010. He is a knowledgeable, caring person who is willing to share what he did to recover. He gives freely of his time and energy just to help others. I am grateful for all he does for me . He has Recovered and so I can Recover also. Second: This “Recipe for Recovery” is doable by anyone. It doesn’t matter where I live, how much money I have, my status in life, how old I am, my religion, how long I have had Parkinson, what I was doing for it in the past, or my symptoms. This “Recipe for Recovery” is doable right now. Howard is here to help me help myself. He has Recovered and so I can Recover also. I am ready and willing to accept this challenge. I know that I will be the one that benefits from my efforts. I will do my best, knowing that my best is good enough. I believe that Parkinson’s is curable. Howard, thank you for putting so much time and energy into making this challenge so clear and doable. I am grateful to you. I am also grateful for other fellow travelers who share of themselves and allow me to express my feelings with them. Hola a todos mis compañeros y a quienes son nuevos…..quiero decirles que ya no busquen mas…….aqui estamos quienes queremos curarnos buscando romper paradigmas, y quienes creemos en que el parkinson es curable mas alla de lo que dice la ciencia medica. Dios nos ha traido aqui a este sitio con Howard persona maravillosa que a mi en lo personal siempre ha estado atento y ayudandome y ayudando desinteresadamente a toda nuestra comunidad, el es un ejemplo a seguir. yo doy gracias a Dios el haber encontrado este sitio web pero sobretodas las cosas por tener el contacto con un ser humano como es Howard, que nos ha enseñado lo que verdaderamennte significa la palabra “TRANSFORMACION” de nuestra mente. Hello to all my colleagues and those who are new ….. I say that no longer seek more ……. here we are looking for those who want to heal break paradigms, and who believe that Parkinson’s is curable beyond what that medical science says. God has brought us here to this site with Howard wonderful person that personally has always been attentive in helping me and unselfishly helping our entire community, he is an example to follow. I thank God to have found this site but above all things to have contact with a human being as Howard, who taught us what it really means the word “transformation” of our mind. have proven it is possible! I recommit myself to continue until I am fully recovered. I found Howard’s website in July this year. My initial thought was, “this can’t be for real” but I soon realised it was! Fortunately I found Howard before the “official” confirmation that I have Parkinson’s and before the request from the neurologist to my family doctor to start prescribing me medication: Howard and the group give me confidence to remain drugfree. I built up my practice of the Recipe bit by bit and I now do the full morning quota. I shall use this challenge to inspire me to do the evening quota too. Doing the Recipe has made an enormous difference to my energy levels and general feeling of wellness and I’m living a much fuller life than I was a few months ago. My partner and my sons also have confidence in the Recipe because they can see how much better I am. The support of Howard and the group is amazing, On the odd day I’m feeling down and sad about the things I can’t do at the moment, I visualise myself in a room with Howard and all these other lovely people: they’ve all become so real to me that I know the sorts of things they’d say to me to buoy me up and that really helps me find my way back to a positive frame of mind. I really love Howard’s approach of encouraging people who are new to this to just “give it a go” for 30 days. You’ve nothing to lose and a lot to gain. If you need encouragement, just post comments on the blog as to how you’re getting on and you’ll find people will be cheering you on! And, as ever, thank you for this post, Howard. Thank you to all of you who have posted comments thus far. I am grateful to see you open your hearts to the others with love and encouragement. Your vulnerability in sharing your own journeys is heart-warming. Thank you. The Recipe is a soul, mind, and body recovery. First you heal the soul, and the mind and the body will follow. Healing the soul has a lot to do with how you feel about yourself. Here is my recommendation: Channel the love for your life, the love for your family, the love yourself , and the love for your three chihuahuas, and fully embrace yourself to know that you are worthy and deserving of a Parkinson’s recovery. Then, utilize that LOVE and ACCEPTANCE of yourself to motivate you to do the things that will keep you on the path to your recovery…the exercises and the meditation. Instead of doing them even though you hate them, do them because you love you! You are worth it! Thank you Howard. Yee ha! ?❤️ I commit to the 30 day challenge for November. To recovery. Thank you I am so grateful for your help and confidence and my confidence in healing. Yay!! Let’s all have fun with it!! Because I am, I am worth it.